Here we describe how to build VTK natively in the board. that are between a Playstation I and a Playstation II. the Graphics Stack of the Raspberry Pi is fully Open Source. read the license, here is the userland repository with the drivers for your enjoyment. (Note that they use CMake for configuration as well). Here is how we built VTK natively in the Raspberry Pi. to see them in full resolution, where the text will be clearly readable. ccmake giving it as argument the location of the source directory. and we are back to the command line prompt. we actually did “time make” since we are curious about the time that it will take to compile. We are ready to build our first VTK example in the Raspberry Pi. we select the OBJ Reader Example. We configure the example by pointing CMake to the binary directory where we just built VTK. and get into wireframe mode by using the “w” key. and then we had to login from a different shell into the board using the -X option of SSH. get exported to the remote display (our Dell Laptop in this case). …and this concludes our session on building VTK. Enjoy Visualization in the Raspberry Pi ! Thanks for the post! I am trying to compile/run VTK on raspberry pi running raspbian. while VTK compiles, I could not run the example. The error message I got relates to “Could not find decent visual”, which I assume was related to OpenGL driver issue. 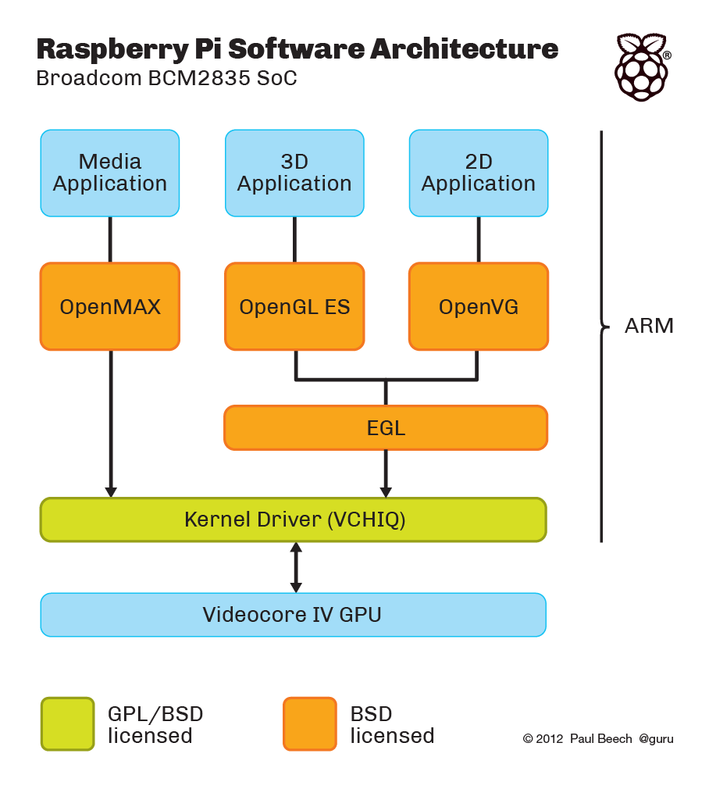 What linux/distribution are you running on raspberry pi to get VTK to work? I’m using both Raspbian and Occidentalis. Yes, I have seen the message that you mentioned. It relates to the actual rendering capabilities of the Pi. In this blog, since I was logging remotely, it turned out that I was using the X-Windows (and OpenGL) rendering capabilities of my remote machine (a laptop) instead of the local rendering of the Pi. In summary: If you render in a remote machine, you will see the same results that we showed in this current blog post. While if you attempt to render locally, you will find (as you just reported) that some of the capabilities required by the default VTK settings are not available in the Pi. Since this VTK blog post, we have been working with Pat Marion (more precisely, Pat has been working on it, while I just watch…), on a similar post showing how to use the VES library and the KiwiViewer to render natively in the Raspberry Pi. We hope to publish that blog very soon. Hi thank you for your blog post. I compile the code and run the example “Could not find a decent visual”. And I notice that Elvis Chen had the same problem. 1. you mean that it is impossible to run vtk in native raspberry ? 2. Is there any other package ( ex VES and KiwiViewer ) information for raspberry ? Yes, when using the instructions here, it turns out that we are not using the real hardware, but the software rendering instead. In what I posted, since I was logging in remotely, I was using the rendering capabilities of the client. VES, as you pointed out, will use the capabilities of the Pi. We have a draft blog post on how to use VES in the Pi, but it needs some final retouches. Hope to get to it soon. Thank you. I really need a render module for my raspberry project. Now I will study VES/WIKIVIEWER on mobile( android ) first. After you post the tutorial, I can port it to raspberry. any update on VES and Raspberry Pi? or the experimental OpenGL driver (on jessie) for VTK? I recently got a new Raspberry Pi3; while vtk is pre-compiled on jessie, the standard driver defaults the VTK to use software rendering only. I have spent several nights trying to get the OpenGL driver to work (https://www.raspberrypi.org/blog/another-new-raspbian-release/), but it looks like this driver is very picking on the HDMI output and I cannot get it to work on my monitor(s) at all.